Adam Filali (Vienna) - Book Appointment Online! From the moment you step into our office, you’ll notice the difference. You’ll experience the most advanced dental care from our caring, thoughtful, & professional Dental Bright team. From innovative technology that ensures your ultimate comfort & safety, to the use of quality dental materials for long lasting results, you’ll find it all here. 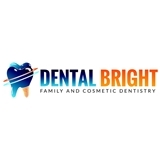 Dental Bright is a single-stop office for all of your dental needs. Dr.Filali and his team will provide comprehensive treatment for every aspect of your dental care including implant placement and restorations (crowns).